If you’ve ever tried to buy a shot for a bartender, only to have them politely turn it down, maybe this is why: A Portland, Oregon bartender was allegedly so drunk behind the bar that the liquor commission revoked the bar’s liquor license for three weeks. Now, to recoup lost profits, the bar in question is suing the offending bartender. According to Oregon Live, the suit alleges bartender Gunnar Hokan Jorstad was drinking while behind the bar at Barrel Room on January 13, 2018. A spokesman for the liquor commission told Oregon Live that a police officer noticed Jorstand was “highly intoxicated” outside the bar around 10 p.m. that evening. Apparently Jorstad returned to work, where police were called five hours later, at 3 a.m., to remove him from the premises. His shift reportedly started at 8 p.m. According to the suit, Jorstad acknowledged to police that he had been drinking at work. The liquor commission subsequently suspended Barrel Room’s liquor license for three weeks and suspended Jorstad’s individual server license for 18 days. But Barrel Room now wants Jorstad to pay for the estimated $5,500 per day the business lost when it was unable to serve alcohol. “[The penalties] just shows how seriously we take this,” a liquor commission spokesman told Oregon Live. 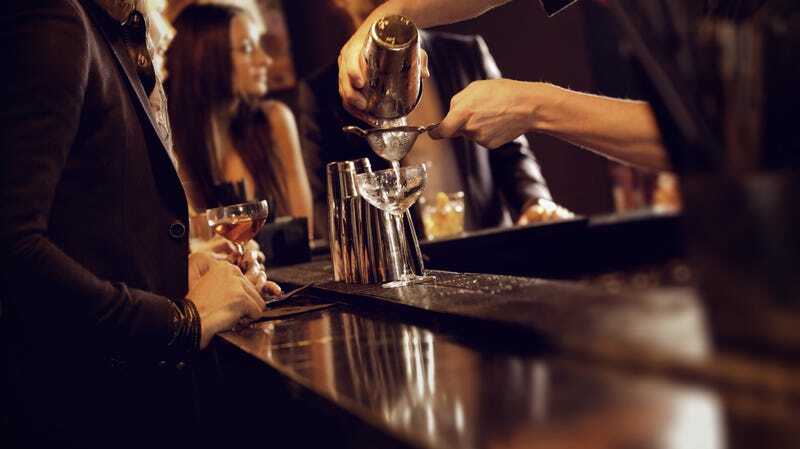 Whether bartenders can drink at all while behind the bar varies from state to state; for example, Pennsylvania’s Liquor Control Board states it’s “unlawful for any licensee, his servants, agents or employees, to consume liquor or malt or brewed beverages while tending bar or otherwise serving alcohol.” In Oregon, a recently amended code allows for on-duty bartenders to consume one ounce of alcohol at a time, for a maximum of six total ounces (distilled spirits are excluded). Basically, the rule is in place to allow bartenders to make sure cocktails taste balanced or beers aren’t flawed, not so they can get sloshed while on duty. Ask The Salty Waitress: Would you ever really spit in a customer&apos;s food?